Ander Herrera has explained why Manchester United succumbed to PSG on Tuesday. Following a goalless first half, goals from Presnel Kimpembe and Kylian Mbappe in the second half of the Round of 16 encounter ended Ole Gunnar Solskjaer’s impressive unbeaten run. While both teams played on the same level in the opening 45 minutes, the visitors were clearly the dominant force after the break, with the tide turning right after Kimpembe’s headed goal from a corner kick. Red Devils’ midfielder Ander Herrera referred to the same moment as a decisive point in the tie, having stated the following in his post-match interview (via M.E.N. ): “After the first goal everything changed. 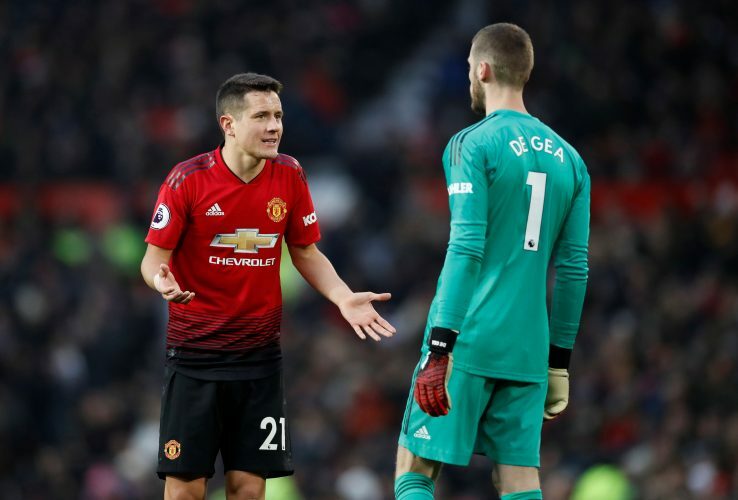 “I think the game was under control, I couldn’t say we were better up until that moment, but we were not worse than them, the game could have finished 0-0 if they didn’t score the corner. The Spaniard was also asked if United losing Anthony Martial and Jesse Lingard at half-time led to their defeat, to which he replied: “I think we lost some pace but we won some combinations with Alexis and Juan so I don’t know if that is the right analysis. “I think we were pressing okay they were not feeling good on the ball but the goal made the difference because after that they played counter attack and tried to find the gaps in behind our defenders.